Andrew specialises in Public and Private Family Law. His practice also includes Personal Injury/Occupational Disease, and civil claims arising from the family jurisdiction. Andrew is regularly instructed to act on behalf of local authorities, family members, and children’s guardians in care proceedings; from urgent applications through to finding of fact hearings, final hearings, and appeals. He also represents clients in private law matters relating to children and domestic violence. Represented a mother accused of inflicting skull and rib fractures to her baby, where the medical consensus was that the injuries were likely to be non-accidental. Secured the return of the child to the mother’s care, with no adverse findings being made. Successfully appeared before Cohen J, securing the return of two children to the care of their mother, against the local authority’s plan of adoption (which was supported by the children’s guardian). 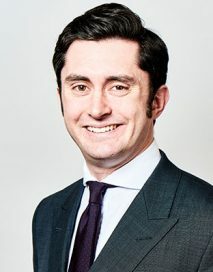 Andrew acts on behalf of claimants and defendants in fast track/multi track personal injury matters (with a particular emphasis on occupational disease claims). He also has experience of claims against local authorities arising from the family jurisdiction. He is a member of the Attorney General’s Junior Juniors Scheme. Before joining Chambers, Andrew spent 12 months as the legal assistant to a leading personal injury Silk on the Midland Circuit. His work included fatal accidents, catastrophic injuries, acquired brain injuries, mesothelioma, and noise induced hearing loss. Andrew has also worked as a paralegal for Plexus Law (EL/PL) and Slater & Gordon (Clinical Negligence). Andrew assisted HM Senior Coroner for Birmingham and Solihull during the month-long Inquest touching the deaths of Edward Maher, Craig Roberts, and James Dunsby. The Deceased were Army reservists who died as the result of heat injuries sustained during a selection exercise in the Brecon Beacons, which the Coroner found was contributed to by neglect on the part of the MOD.